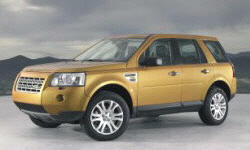 Land-Rover LR2 Pros and Cons | Page 1 of 1 | Why Not This Car? What drives people to buy (or not buy) a certain car? TrueDelta's members share Land-Rover LR2 pros and cons based on their real-world driving experiences. 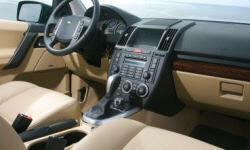 I test drove many cars over several months finding nothing with adequate driver visibility until the Land Rover. It may be cheaper to meet safety regs by substituting padded steel for windows, but it makes driving awful. Driving the Land Rover is great. cutting edge, modern but still a landrover! Having experienced both snow-covered and muddy, rutted backroads, the terrain response system combines with the steering & suspension for mountain-goat surefootednesss. And the turning radius is tighter-than-tight; great in tight parking lots, too. Traditional Land Rover styling. Aggressive styling, but softened versus the bigger Land Rovers. It seemed to part of me. Engine response at every RPM.